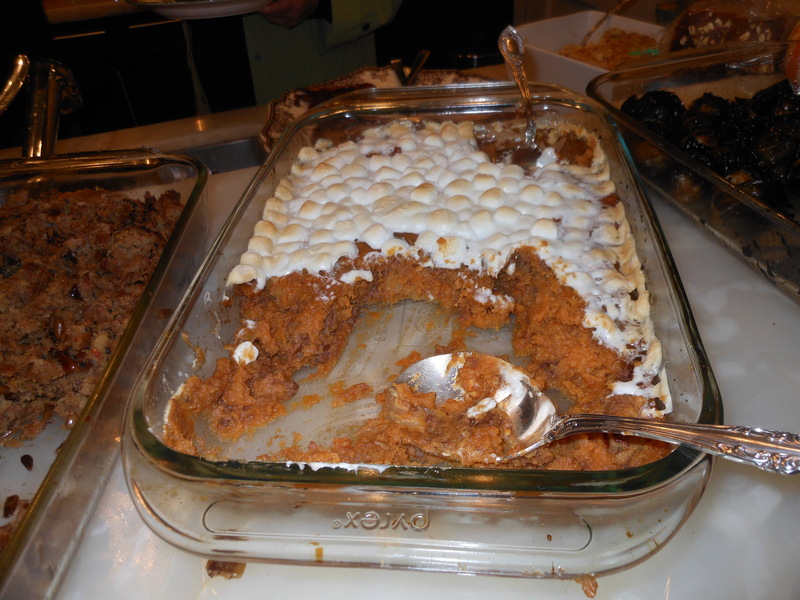 We always have to have a sweet potato dish with those darn marshmallows! This has a little twist which makes it a bit more interesting. It’s easy, tasty and unique, because I make it with both marshmallows and pecan halves on top. There are probably a million different recipes for mashed sweet potatoes, but this one goes on my table this year. 3 lbs. sweet potatoes, peeled and cut into 2 inch chunks. Cook Sweet Potatoes (If you want to cheat with the canned ones, I won’t tell anyone, and what’s more is no one will know with all the other stuff in it.) Just drain them well. Cover sweet potatoes with cold water in a large pot and bring to a boil. Reduce to a simmer and cook for about 15 minutes or until potatoes are knife tender. Drain and return to pot. Mash potatoes with a masher, then stir in milk, butter, pineapple, brown sugar, pumpkin pie spice and salt. Transfer mixture to a 2 1/2 quart oval casserole dish, smooth out on top. If you want to make a checkerboard top, start at the top left, and alternate one marshmallow with 2 pecan halves until the entire casserole is covered. Bake at 350 degrees for about 30 minutes or until marshmallows are browned and puffed. If you don’t feel like doing the checkerboard, you can also sprinkle mini marshmallows on top, or some large ones. Whatever you like. This is pretty loose, but you gotta have marshmallows! 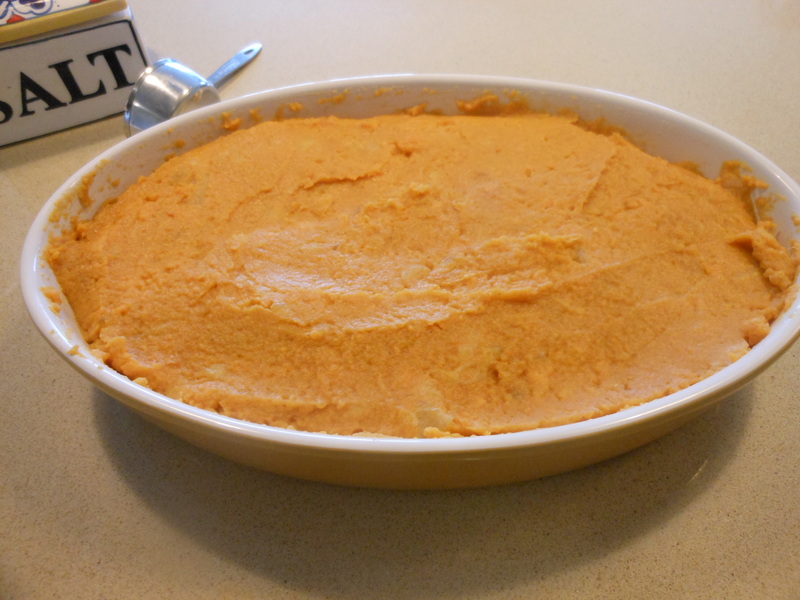 This entry was posted in Holiday, Holiday Recipes, Holiday/ Thanksgiving Recipes, vegetarian and tagged brown sugar, etc, Mashed Sweet Potatoes with pineapple, thanksgiving recipes for mashed sweet potatoes. Bookmark the permalink.